We have been sweating it out all week here at Hello My Sweet and looking for a perfect recipe to represent the coming summer. What better than Strawberry Lemonade? Sweet juicy strawberries and a tart refreshing lemons combining to bring you a tasty cool treat for the summer. 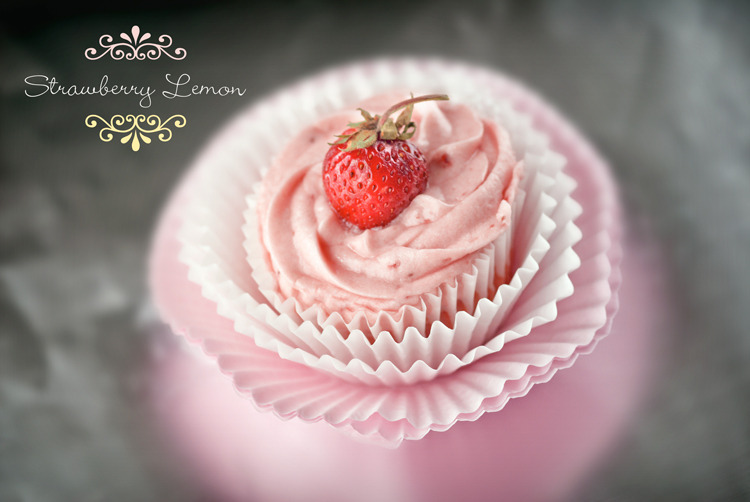 Of course we wanted to make our strawberry lemonade in cupcake form, so without further ado we give you Strawberry Lemon Cupcakes. We hope you will give this recipe a shot, it is oh so delicious. The cake is super moist and the sweet and tart combination is perfection. Don't forget to come back afterwards and leave us a comment about how yours turned out.